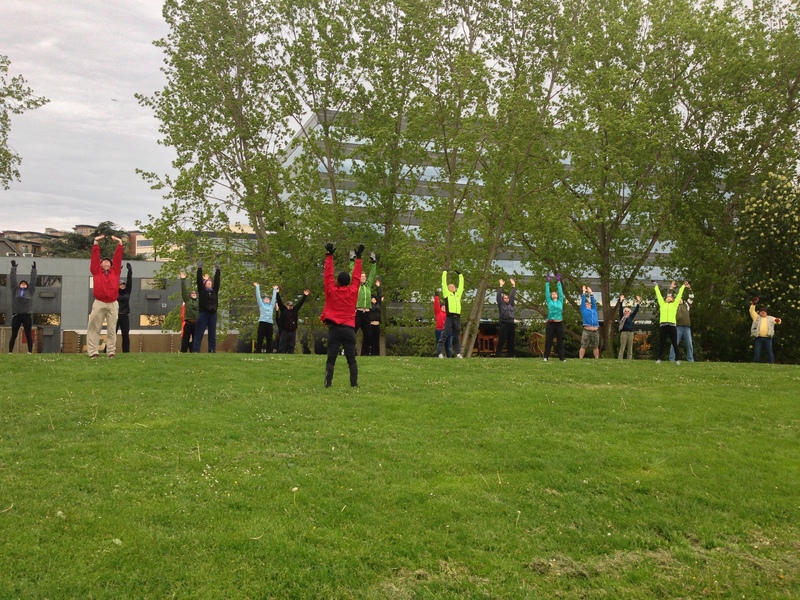 Our group, Embrace The Moon Taijiquan and Qigong on World Tai Chi & Qigong Day, April 27th. Did you know there is a day set aside every year to celebrate Taijiquan (Tai Chi) and Qigong (Ch’i Kung)? Its called World Tai Chi & Qigong Day. On the last Saturday of April, at 10am, starting in New Zealand and moving through each each time zone across the globe, people gather in groups, large & small, and practice together. It is quite a powerful experience to flow with people of all levels and to know you are among millions around the world. The Day was started by Bill and Angela Douglas. You can get more information here: http://www.worldtaichiday.org. Its quite a jam packed website, but if you spend a little time there you can find out interesting information, including Harvard Medical Center’s New Guide to Tai Chi: http://www.amazon.com/The-Harvard-Medical-School-Guide/dp/1590309421 World Tai Chi Day events are always free. Check near you next year but don’t wait until then to start Tai Chi or Qigong! This entry was posted in Fitness & Movement Topics, Tai Chi, Qigong and tagged Alternative, Angela Douglas, health, Kim, New Zealand, Qigong, T'ai chi ch'uan, Tai Chi. Bookmark the permalink.